Should You Post The Same Article In More Than One Place? Posting articles to online publications is a very effective method for building backlinks and generating traffic to your website however if not done correctly will not yield much success. Writing your article is just the first step towards marketing it. 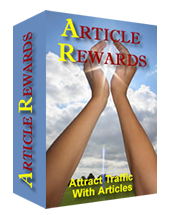 Most article marketers simply write their article then submit it to EzineArticles…currently the most popular article directory as of this writing. If you want to maximize the effectiveness of your article you should post it in several locations. Is Article Marketing a Good SEO Strategy? Since the year 2000 I’ve been using article marketing for traffic generation by getting lots of backlinks and gaining high search engine rankings. Since the Google Farmer Update article marketing has evolved but not died. In the early days of article marketing you could simply submit your article to a number of article directories and many website owners and ezine publishers would republish your article. This would generate lots of traffic and backlinks back to your site because the search engines would reward you with high rankings. After the Google Farmer Update sites containing duplicate or low quality content got downgraded. For instance Ezinearticles (one of the top article directories on the Web) lost a lot of its traffic because many of their articles contained thin content. In my last article I discussed the top 7 ways how to get referrals fast. Perhaps your current system for generating referrals is not working well enough to pay the bills. Many times small business owners get busy with new clients then cut down or forget to promote their products or services. Suddenly they have no work after completing the project they’ve been working on leading to anxiety and frustration. Solo entrepreneurs and business owners can’t afford a marketing team so they have to promote their business themselves. One of the ways to get more referrals is to evaluate what is already working then ramp it up. Article marketing has become one of the top ways to get new referrals for my web design business. When I stop writing and publishing articles the amount of business I receive declines. In order to get more referrals I simply ramp up my article marketing efforts. In my previous articles I discussed landing page optimization and my top 7 link building tips, 2 crucial components for marketing your landing page. Instead of focusing on multiple traffic generation strategies it’s good practice to master one of them before moving on to the next. On you most effective ways to market your landing page is by writing unique articles and submitting them to the top article directories. If you do this on a consistent basis you’ll receive a steady stream of traffic to your landing page. If you want your content to consistently get good rankings in the search engines you need to be aware of the constant changes Google makes to their ranking formulas. The Google Farmer update affected a lot of websites containing thin content. This is content that was copied or scraped from other sites and used on their own site. Websites containing original unique content weren’t affected much. If you’re using article marketing to market your website you’re probably concerned about duplicate content. This is content that is copied, scraped or paraphrased from another article (either your own or someone else) then published on article directories, websites, newsletters, etc.. Some of the top article directories don’t accept content that is not unique or original (where you are not the original author). Many business owners are told to build a pretty website to market their business so they pay 1000s of dollars to a website designer then wait for the business to pour in. After several weeks or months of receiving no new leads from their website they conclude it was a waste of time and money. They built a website not a business. For a site to be profitable it needs to be functional. A great design doesn’t mean you’ll attract visitors. For example, you’ve probably seen flash websites displaying a dramatic flash presentation before you enter the site. They usually give you the option of skipping the introduction by including a link that says “skip introduction.” The problem with this type of site is that the search engines don’t spider flash content. They only spider text. This means your site won’t attain high rankings resulting in little traffic and leads. When I was in my 20s I sold products door-to-door for several years across the United States. In the beginning I was only making a few sales each day because I would simply tell the customer about the product then ask them to buy it. Well, this didn’t work very well because the person didn’t know me from a bar of soap, no trust was established and most folks didn’t like salesmen. Writing 100 articles in 100 days was not an easy challenge even though I’d completed it several times before in previous challenges. I decided to make the commitment to do it a fourth time because it forced me to focus, overcome my laziness and reap the benefits of building a list of prospects and generating traffic to my website. Why build a list with article marketing? Article marketing is a highly effective method for driving traffic to your website because it provides valuable content, builds incoming links and boosts search engine rankings. Instead of relying on article directories to syndicate your content, integrate social media sites to expand your audience. Why integrate social media with article marketing?